Sit back, get comfortable, and prepare to read about some more PlayStation Classics. This time, we’re looking at a title that is not only a PSOne Classic for the PlayStation 3, PlayStation Portable, and PlayStation Vita, but is also going to be on the PlayStation Classic. 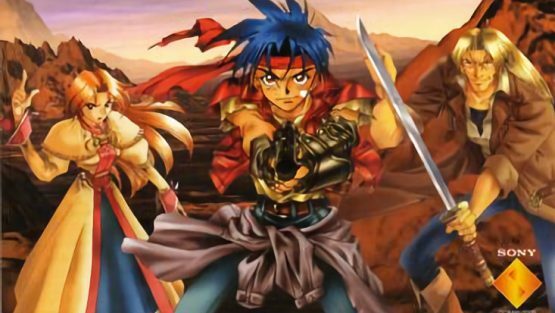 It is Wild Arms, a JRPG you really should have played by now. (Come on, people!) Wild Arms is a game about surviving in what looks and feels like the wild west. It is about properly using mechanical weapons and magic. It also shows the effect of futuristic technology and aliens on the world. Really, the game does a lot. Yet, at the same time, it remains within that special window of games where two teenagers accompanied by an “ancient” person pushing 30 ends up being tasked with saving the world. Wild Arms gets its names from the special weapons found in the game. Arms are Advanced Relic Machines, special sorts of firearms that wield amazing destructive power. One of the three heroes in the game, Rudy Roughknight, possesses the Hand Cannon. Even though he uses it for good early in the game, for the sake of rescuing a child trapped in a cave and being threatened by a zombie, the people from his home village cast him out for possessing and using one. Arms, like the one Rudy owns, are seen as dangerous. Yet, the firearms are some of the most advanced technology available and could be the only way people can fight back against some of the more advanced Metal Demon foes. This provides a contrast that becomes a constant theme in Wild Arms. What can people do to fight back and survive? How should ancient, advanced technology be incorporated into people’s current lives? What will happen when people start gaining these capabilities again? Wild Arms’ gameplay is as varied as its story elements. Which is only fitting, since this is a game that is futuristic, yet historical, filled with guns, but also packed with magic. When you are roaming around the world, everything is in 2D. The pixel art looks pretty great. When a turn-based battle begins, everything shifts to 3D. You can really tell it was from an era when developers were beginning to experiment with what could be done in a game. This is also a title that tests your mind. Battles are turn-based, meaning you have to be a bit more thoughtful to take advantage of enemies’ weaknesses. In the overworld or dungeons, there are puzzles to solve. This is where it can get really challenging. There will be tasks where you need to perform certain actions and pay attention to people and things in the world to proceed, and it might be easy for some people to overlook the solution. For example, there is a puzzle in the Dead Sanctuary involving statues representing courage, hope, human will, and love. To proceed through the area, you have to manage and arrange them properly to get the to Boomerang and Luceid boss fight. Now, that boss fight itself is pretty difficult, since these two returning opponents have some new tricks they will employ, but figuring out exactly what to do with one of those statues could trip some people up. In short, Wild Arms is a game you should play. This turn-based JRPG offers such a unique experience. The dungeons make you think. The battle system works well. The characters are cool. Plus, we have a setting that mixes magic, the Wild West, industrial technology, and occasional futuristic elements. A lot is going on, but everything is still handled very well. 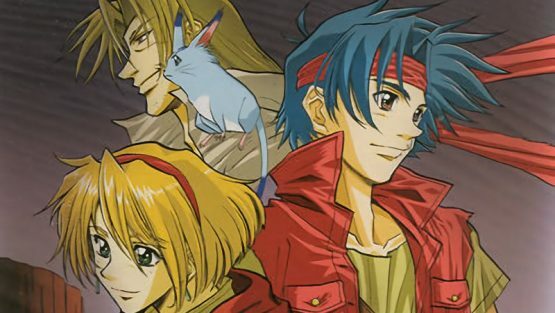 If you want to try it for yourself, it is easy to find and play Wild Arms! It is on both the North American and European PlayStation Store, costing $5.99 and £3.99 respectively. It will available on the PlayStation Classic plug-and-play console. Or, if you have a PlayStation 2 lying around, you can grab the Wild Arms: Alter Code F remake!